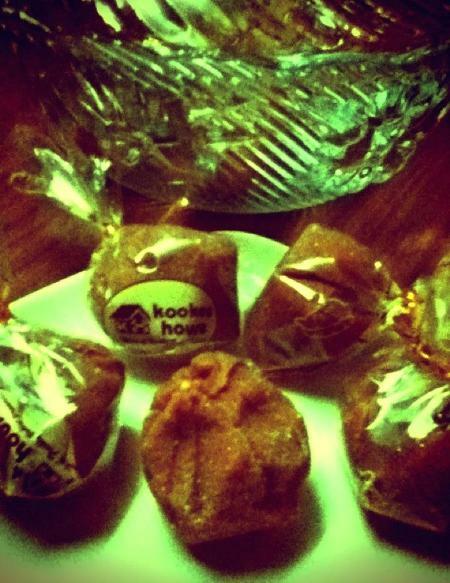 I’m growing a dangerous addiction to Kookie House’s yema balls. Their rendition of the custard confection is more like sugar frosted caramel with a delicate taste of egg yolk. At thirteen pesos a pop, a handful of the bonbons will warm the cockles of every sweet tooth’s heart. hope Kookie House reads your question., Leslie. I would to know if you guys have a store in Manila? And what location? Ms. Leslie, unfortunately, we don’t ship yet as we promise to make sure that our products are fresh and shipping may compromise this vision. However, we are expanding to more and more outlets and hopefully one day, it will be somewhere near you. If you have any other inquiries, please let us know. Thank you !! Where can we buy one here in Hawaii?or online orders maybe? you can visit Ilocos or maybe you can ask someone from Ilocos to buy for you. Can you send some of your customized cake for baby boy? please. .. How much would it cost? Thanks ahead. It’s been a long time I bought yema. Prices might have changed. Please contact us @ 077-6762140 for any inquiry regarding our product or at our facebook account. how much po /box? yema,pastillas,polvoron? ?